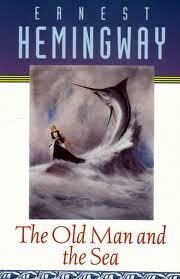 The main character of The Old Man and the Sea, Santiago, is a mature version of the typical Hemingway hero. This is a topic suggestion on Character Analysis of The Old Man and the Sea from Paper Masters. Use this topic or order a custom research paper, written exactly how you need it to be. All these were done with stoicism and pride in his ability to persevere. He also recognizes the importance of his relationships with his fellow men. His exhaustion upon his return to the village is not enough to make him forget his promise to give the marlin’s head to Pederico. He also values his relationship with Manolin and knows he has a duty to pass on his manly values. Manolin represents the continuation of the Hemingway vision of masculinity and also the independence it requires. He must learn to disobey his father in order to learn from and become a better man. He also embodies the values of understanding and kindness, as he sees Santiago’s qualities and shares his meager resources with him. The American tourist represents the ignorance of both the average American and of women in general. She can neither correctly identify the marlin’s skeleton, nor understand the value of what Santiago has done. Nobody Ever Dies Research Papers on the short story by Ernest Hemingway titled Nobody Ever Dies, illustrate that the story is a brief exercise on freedom from slavery. Symbolism Research Papers on the Literary Device used by Authors. Themes in the Old Man and the Sea Research Papers - In The Old Man and the Sea, Hemingway refines some of the themes he has explored throughout his work. Love Is Not All Research Papers Research Papers discuss this poem, which is described as romantic and cynical. Theme research papers analyze the element of literature and writing in which the moral of the story is conveyed. Literary Characters Research Papers - Characters are the necessary catalysts that drive a story to it's ultimate potential. American Writers Research Papers - The time and the location characterize many American writers. Islands in the Stream by Ernest Hemingway research papers. Symbolism in The Snows of Kilimanjaro research papers discuss the symbols found in Ernest Hemingway's book. Ernest Hemingway, one of America's most influential writers, is respected primarily as a novelist and short story writer. Hills Like White Elephants research papers on Ernest Hemingway's masterpiece. Soldier's Home research papers - In 1924, Ernest Hemingway told Robert McAlmon that he had just completed the best story that he had ever written. Frederic Henry of A Farewell to Arms - explore the main character of Ernest Hemingway's classic novel. Paper Masters writes custom research papers on a Character Analysis of The Old Man and the Sea.